Microsoft excel is very powerful tool to work on the related data. 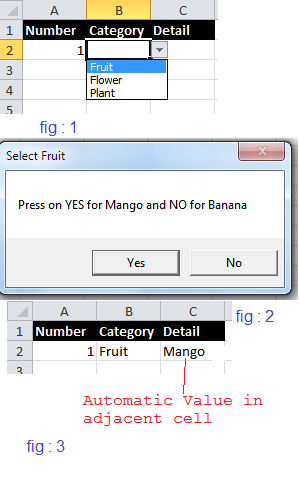 This time i needed a unique functionality in excel sheet and wanted to share with you all. So to create the macro enabled excel sheet, while saving file in file types, select the micro enabled workbook. In Microsoft Excel 2010 the extension of such type of file is “xlsm”. 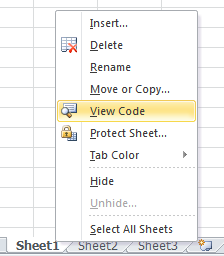 Right click on “Sheet 1” tab at bottom and select the “View code”.